Kazan – is the capital of the Republic of Tatarstan - one of the major economic, scientific, and cultural centers and ancient cities of our country. It is situated on the great river Volga. The city lies on the border of two worlds – Europe and Asia – and has incorporated the traditions of two great cultures. 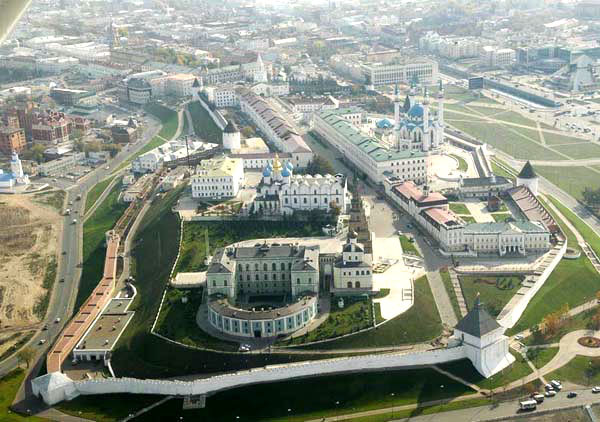 The former capital of the Kazan Khanate recently celebrated its millennial anniversary. The beauty and grandeur of the ancient cathedrals and mosques are accentuated by neon lights and glittering glass, and the old mansions where balls used to take place stand side by side with hi-tech ultra-modern buildings.